Taxidermy, once limited to the realms of hunting and seedy antique stores, has made its way into common art practices. 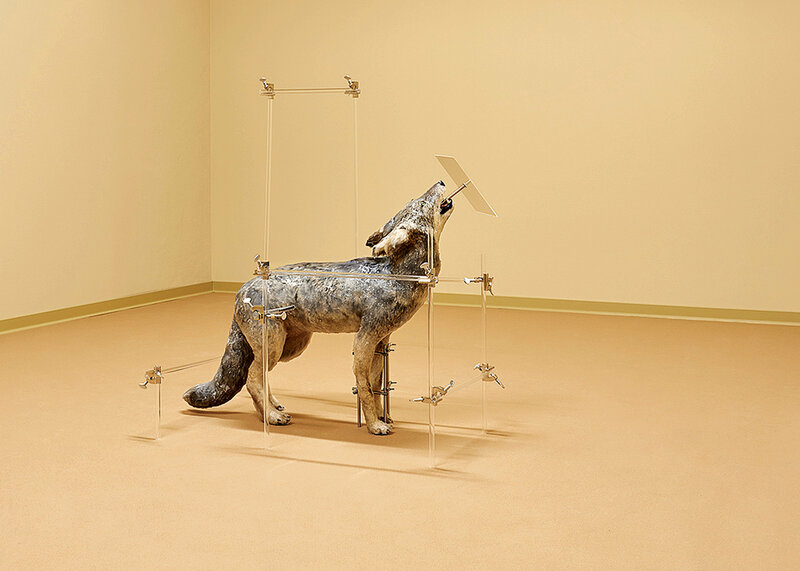 The ethical gray area of cutting open and displaying a dead animal is equally foggy when used for artistic or symbolic purposes, like in the eerily flashy work of Damien Hirst or more recently Anicka Yi’s hardware-lined taxidermy coyote. Contemporary artists using taxidermy as a critique of modern society can be easily construed as insensitive, and can just as easily reinforce the sensationalist culture they’re trying to condemn. New York City based emerging artist Selva Aparicio employed taxidermy with sensitivity and subtlety to honor dead animals and criticize our society’s disregard for them during her one-night pop-up show, curated by Ara Cho, at Space 776.